You can use this special Bees Wax mixture on any wooden piece. 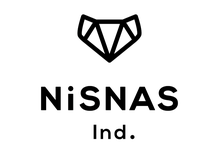 Originally made for Nisnas Industries wood tumblers, you can use it on furniture and furnishings of any kind no matter what their age. You can also use it on marble so it’s perfect for antiques and fine furniture. The wax has a hint of honey to it and it helps seal the wood you work on and make it more supple and durable. You get 100 Ml per tub and it will last a good long time because even a small amount of this spectacular polish can accomplish a lot, so don’t worry you don’t have to apply a lot to see the effect.